After talking with my Dr. this morning and finding out that I have not changed at all in the last three weeks it was decided that We will be welcoming our son via scheduled c-section tomorrow. Given my past cardiac history they felt that continuing to wait and see was not in mine or baby boy's best interest. I am disappointed but not in the least surprised. On another note I knit Milo a pumpkin hat! 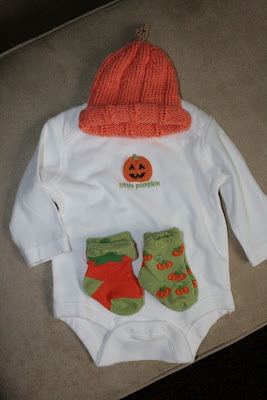 I also found a pumpkin onesie and two pairs of pumpkin socks to go with them (I can't decided which I like best) ! 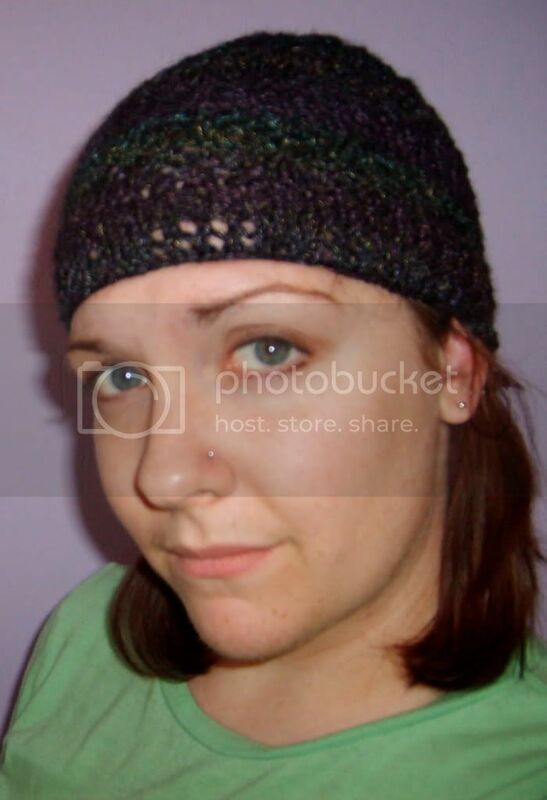 I still have to knit the leaves to go on the hat but that won't take long. The hat looks SOOOOO cute! I can't wait to see it on our little M&M in person! That is too freaking adorable! You are so talented Abby! I hope all went well yesterday... I've been thinking about you and hope we get an update soon that you and Milo are happy and healthy.